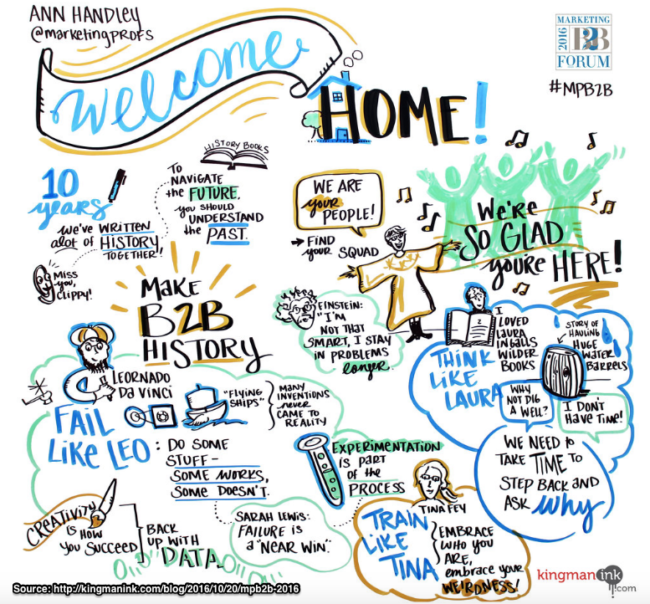 You can use these 5 MarketingProfs B2B Forum tactics even if you didn’t attend this live mega-content event. No, this isn’t another conference summary parading as helpful business advice. 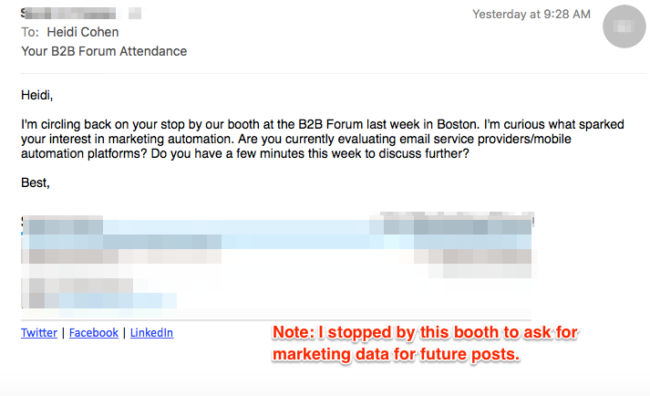 The reason: MarketingProfs B2B Forum attendees are my people. Yes—I got the Ann Handley memo. They’re my squad. I feel the love, not only from my friends, colleagues and the MarketingProfs team, but also from the people I meet. I (re)introduced myself to Daniel Glickman. He responds, “We met last year.” It gets better. He tells me that I inspired him to write a book. 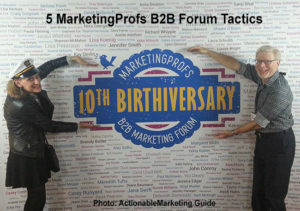 Here are 5 MarketingProfs B2B Forum tactics that can help improve your business, even if you didn’t attend live. Conferences are major investments of time and budget. You must answer why it’s important for your business. Set measurable goals to show attendance results. MarketingProfs integrated consistent messaging into the conference’s various elements. You must maximize your marketing effort. Success is a momentary win. By contrast mastery is an on-going process. You have to keep pushing towards your goal. To this end, you must embrace the near win. Gone are the days where you can churn out one and done marketing campaigns. You must create your marketing for the long-term. Regardless of market segment or budget size, you must maximize the results from each marketing investment. Brands are key to accomplish this. Align your brand with your business mission. To succeed, document your brand guidelines. Explain how they relate to your content creation. Distribute them to all of your employees. 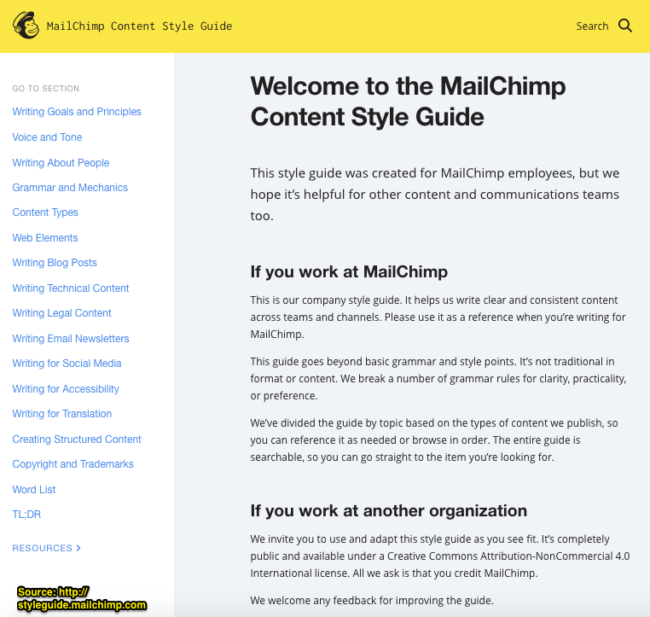 Follow MailChimp’s example. Understand your 3 key audiences. Each contributes to your business and marketing. Before creating marketing personas, examine these audiences. Ask these questions. WHY do they need information? WHEN do they need information? What content do they NEED to make their job easier? What content can they help CREATE? What content can they help DISTRIBUTE? What MOTIVATION do they need? WHY do they care about our content? WHERE can they help distribute our content? Once you’ve compiled this information, create a set of marketing personas. Realize: Empathy can’t be faked. 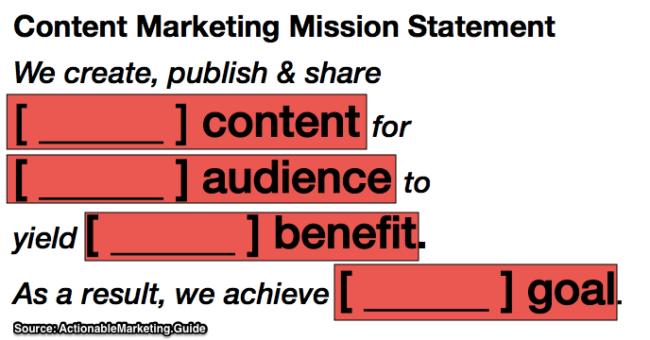 Set your content marketing mission: We create, publish and share [ BLANK ] content for [BLANK ] audience to yield[ BLANK ] benefit. As a result, we achieve [BLANK] goal. How do you answer an executive who wants content not aligned with your content mission statement? Answer these 3 content relevancy questions from Orbit Media’s Andy Crestodina. If you can’t answer them, don’t create the content! What question does the prospect or customer have that this content addresses? How will this content impact our relationship with that prospect or customer? How do we measure the impact of this content? To end one and done content, audit your existing content. Create the whole quality content meal. Jason Miller gave an insider’s view of how he leveraged every one of his LinkedIn content marketing efforts. At the heart of his content strategy is cornerstone content focused on the conversation he wants to own. 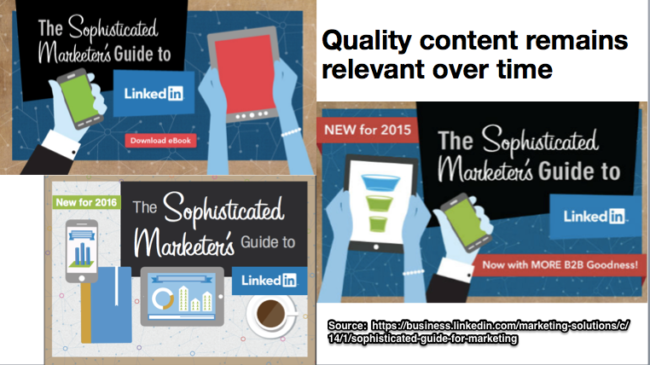 Miller created The Sophisticated Marketer’s Guide To LinkedIn. It’s easy-to-read, consistently branded and taps into high profile influencers. Further, Miller’s updated and expanded the Sophisticated Marketer’s Guide to other topics such as content marketing and thought leadership. BUT he always keeps the same landing page URL. Further, he qualifies prospects who want the download and continues to get them to act without seeming pushy. Sweat the details. At a minimum, get a professional editor. MarketingProfs’s Julie Pildner and her team read and proofed every slide deck! No comma or typo was too small for them! Maximize your content promotion. If you don’t keep your content top of mind, it’ll get buried. Out of sight, out of mind. Cascade your content promotion efforts. Andrew Davis recommended killing it on one platform or channel at a time. This goes against the grain of being everywhere at once. Start with your existing inner circle. Put yourself in the center of your target market’s world. Use the flywheel approach: create, connect, optimize. Contently’s Shane Snow recommends, “Figure out what your audience wants first. Then figure out the technology you want to use.” He looks for content signals (brand intent or conversion) and engagement (attention since time is finite.) BTW, check Contently’s Content Methodology Report. Focus your promotion on your top 1-2% of content. 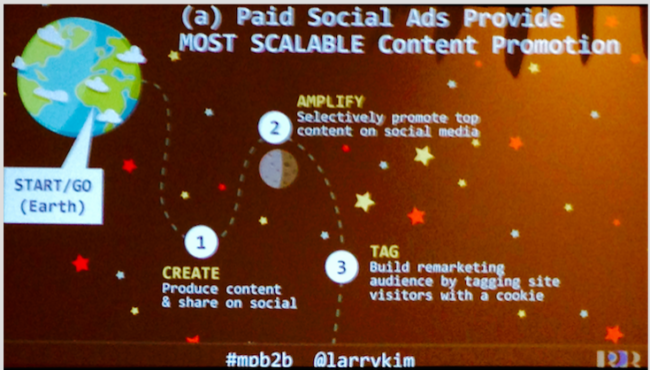 Wordstream’s Larry Kim showed marketers how to maximize the impact of their top content on a shoestring. Discover which content resonates with your audience, then selectively support it with limited advertising. Build your owned media as a profit center. Content Marketing Institute’s Joe Pulizzi made the case to turn your content marketing from a budget consumer into a revenue generator. Think like a media publisher. Get partners who pay to be in front of your audience. CMI’s annual research yields 6 figure income. Mingling with influencers is a key element of any live event. 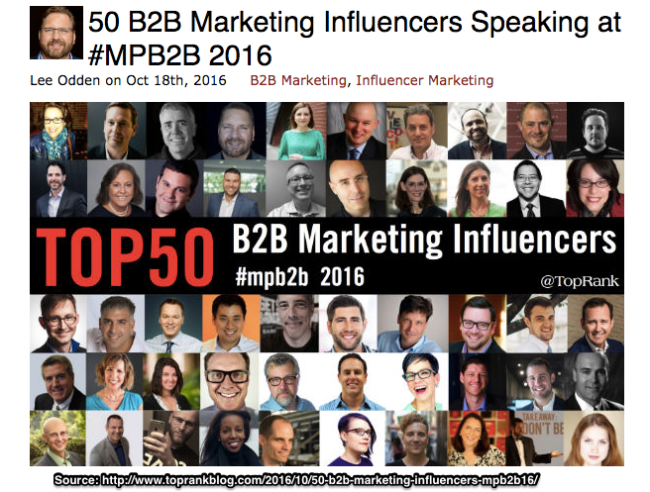 Top Rank and Traackr put together a list of Top 50 B2B Marketing Influencers. Crestodina said it best at his MarketingProfs B2B session: “If I don’t give you the value, come up afterwards and speak to me.” Speakers want to engage with their audiences. Even if you do your homework, you might not recognize influencers in the wild. Sue Zimmerman made a guest appearance. If you don’t know Sue, then you don’t know Instagram marketing! Live blog the event. It’s a great way to share the influencer limelight. 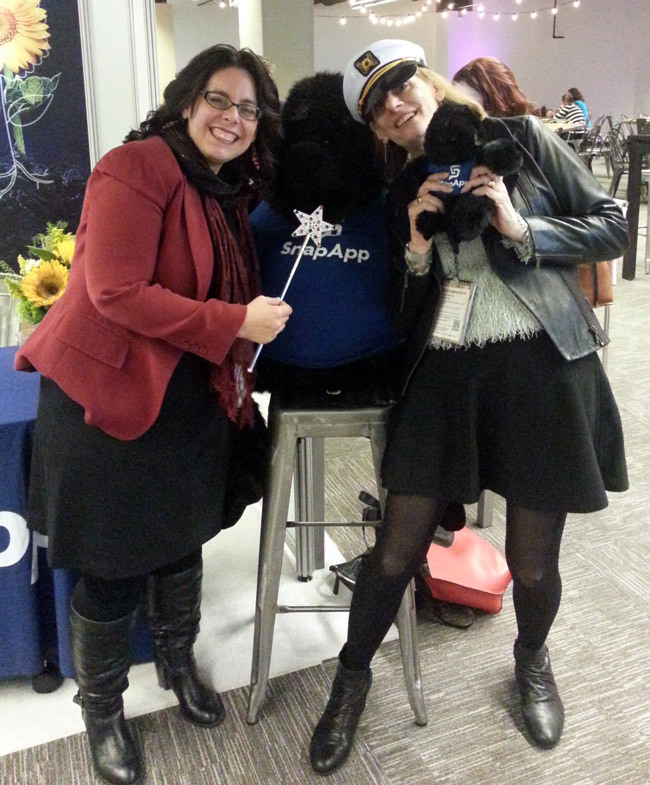 Top Rank killed it at MarketingProfs B2B. No surprise—Top Rank’s Lee Odden’s in a class by himself. He’s been doing this since I met him 10+ years ago. Now his team carries on his tradition. Create on-site conference content. Tap into the opportunity to batch develop influencer content. LinkedIn’s Sean Callahan batched influencer video with content on 4 different topics. Get into the picture. By far, my all time favorite sponsor give-away is photographs. If you’ve a photo booth, your photo is on my frige forever! From a marketing perspective, these gifts stay visible. 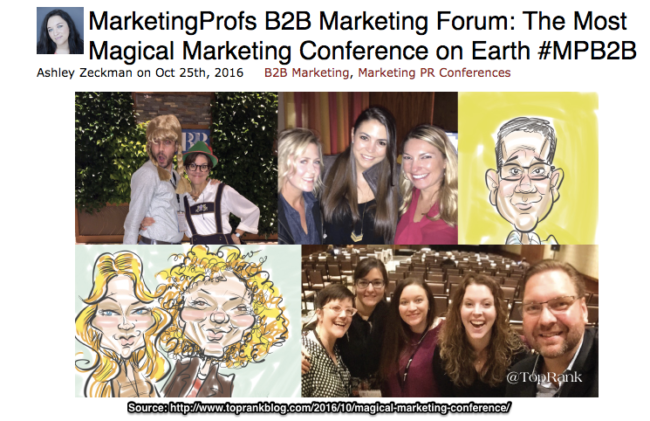 At MarketingProfs B2B Forum, I got into the photo with a number of sponsors. 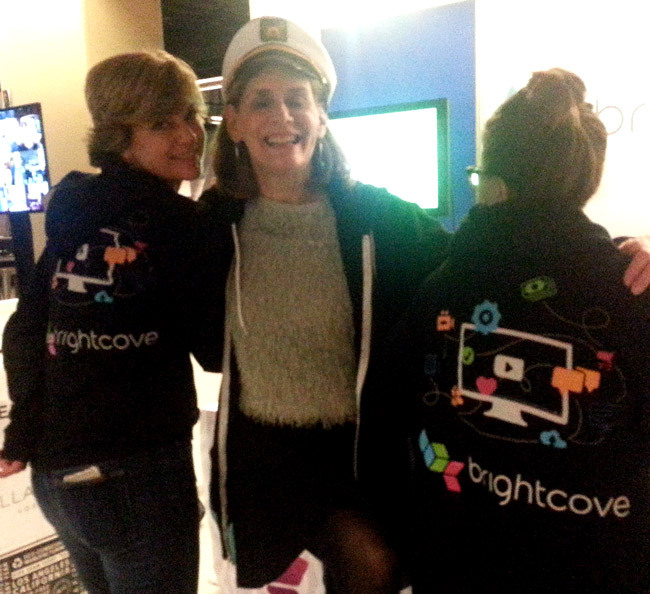 My captain’s hat (Thanks to MarketingProfs’s well stocked ladies’ room) helped with the fun. Even if I’m not your target customer, I’ve endorsed your product by engaging with your staff. If you build your business to last, you must track your progress towards your goals. Translation: Measurable objectives. 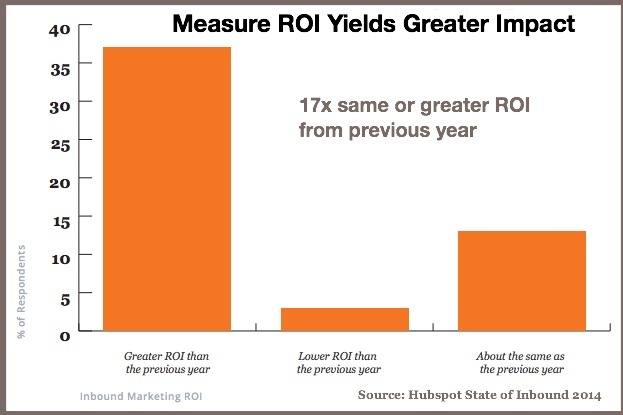 Hubspot research showed businesses that measure ROI are 17X more likely to improve. Keep testing and iterating. Wider Funnel’s Chris Goward showed that, if you keep A/B testing, you achieve incremental improvements. Focus on the tests likely to yield the most dramatic results. MarketingProfs B2B Forum attendees engaged with sponsors, the conference version of advertisers. 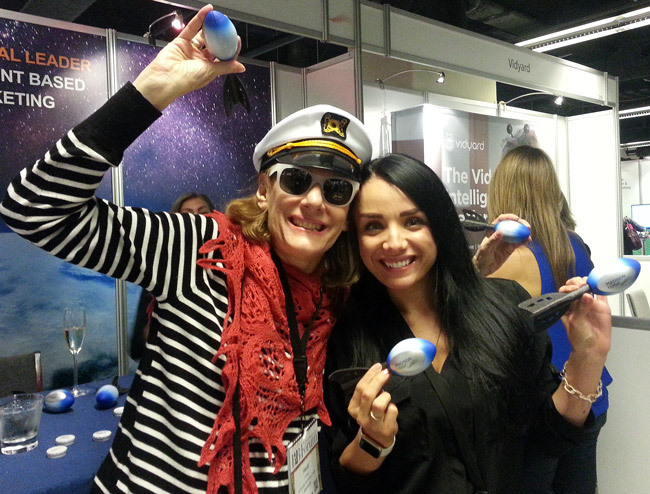 They had fun in the exhibit hall with a scavenger hunt for a great prize. While other conference planners lament that attendees don’t use their app. Not MarketingProfs. They incent attendees to up their social media game. The top person gets a free pass for the following year. MarketingProfs B2B Forum isn’t all work. It’s fun. MarketingProfs’s head cheerleader Rob Zaleski went so all in that he lost his voice. After everyone pop’s their streamers at the conference’s finale, the MarketingProfs team lines up on both sides of the hall to high 5 everyone as they leave. You leave the conference with an actionable list of marketing tactics and burgeoning real-life peer relationships. Thank you Ann Handley, Julie Pilner, Rob Zaleski and the rest of the MarketingProfs team. 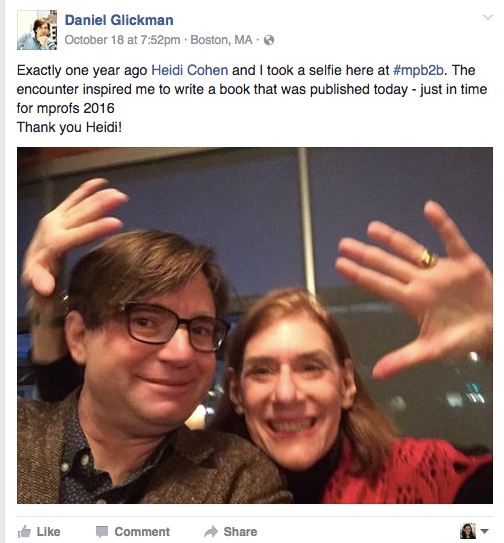 Other photos: Heidi Cohen and Larry Aronson – all rights reserved unless you link to this post! Tags Andrew Davis, Andy Crestodina, Ann Handley, Daniel Glickman, Jason Miller, Joe Pulizzi, Julie Pildner, Larry Kim, Lee Odden, MarketingProfs B2B, Matthew Grant, Michael Brenner, Michael Wesch, Rob Zaleski, Sarah Lewis, Sean Callahan, Shane Snow. Bookmark the permalink. I have learnt great techniques about B2B marketing. I am sure all above tips will help to generate more leads. What about harnessing the authentic voice of your customers?